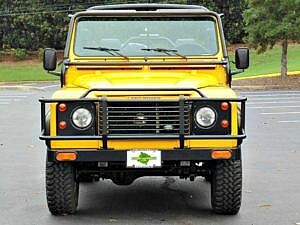 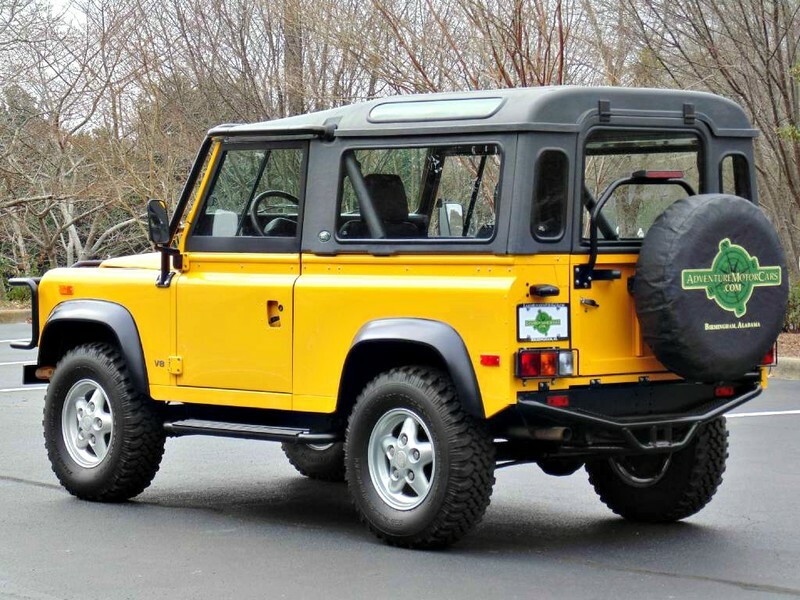 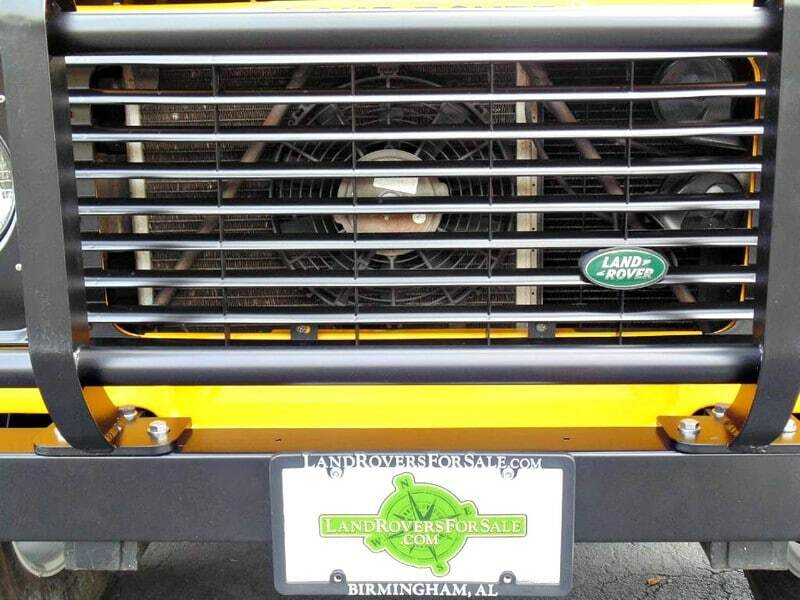 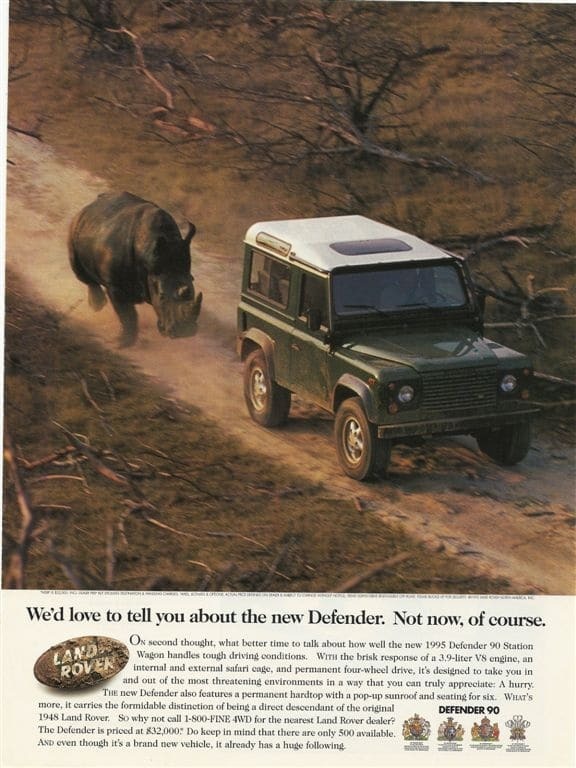 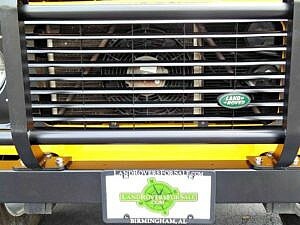 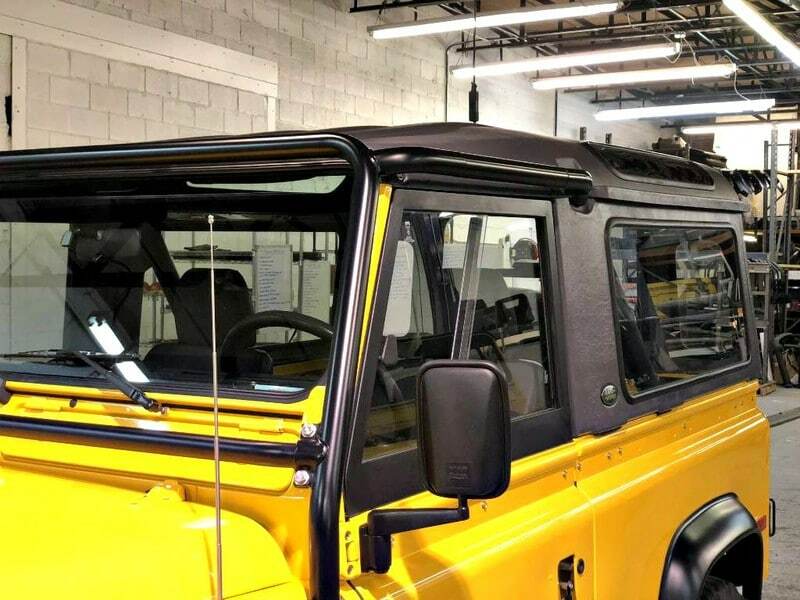 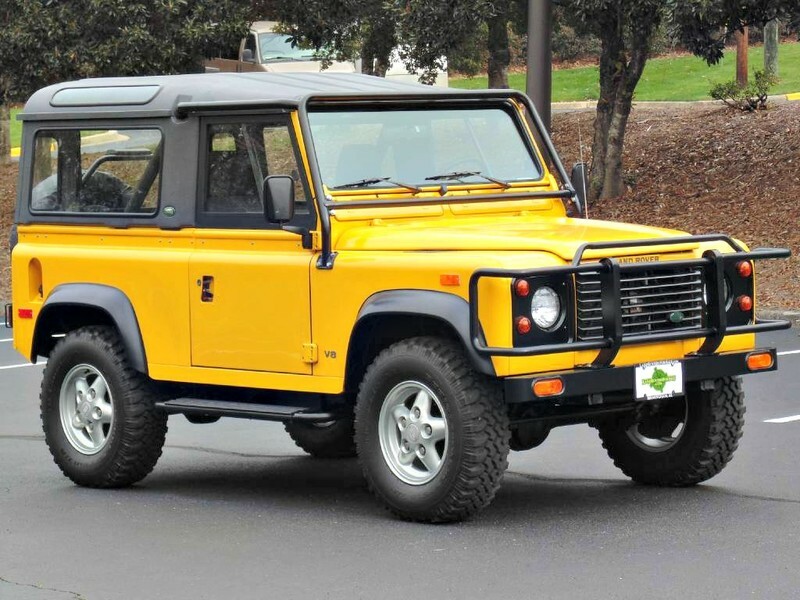 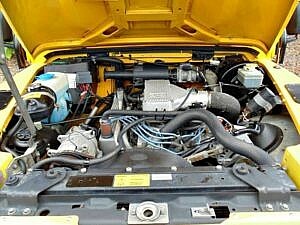 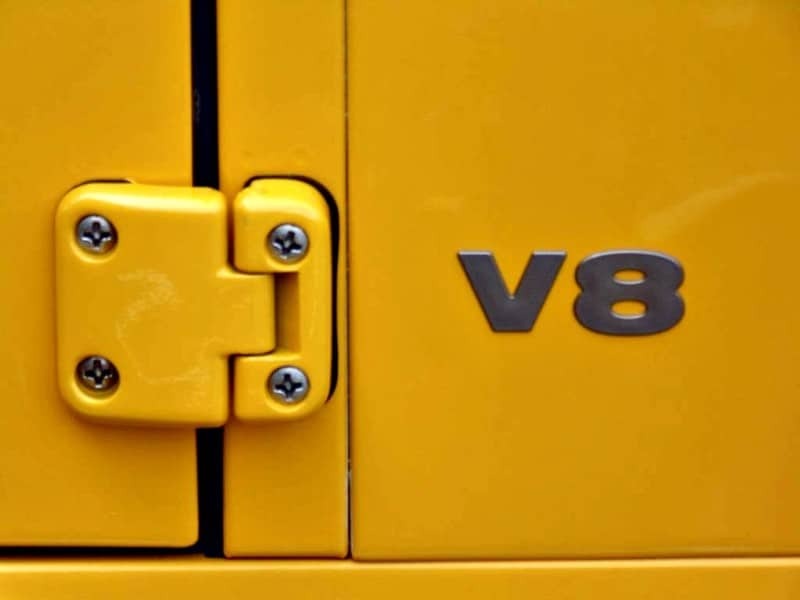 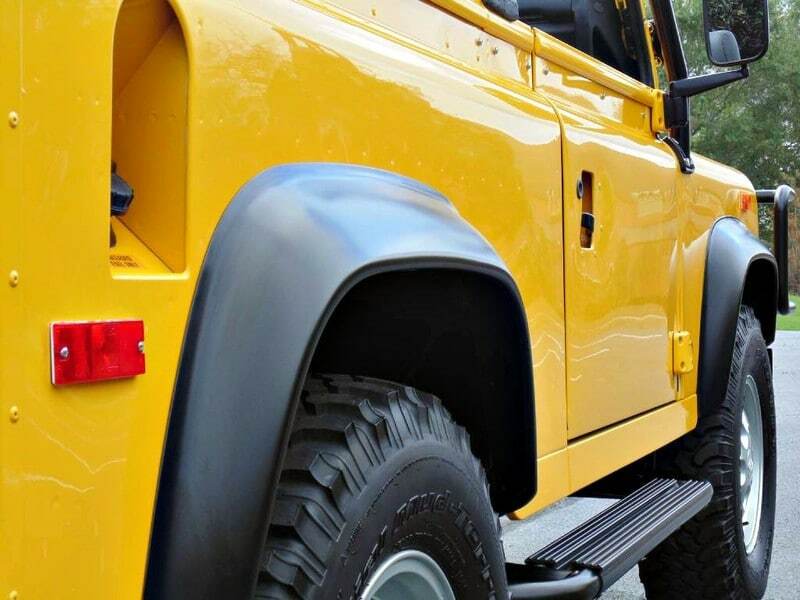 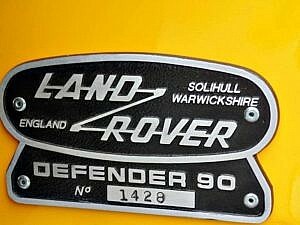 Today we present to you this very mint 1994 NAS Defender 90 #1428 in AA yellow, just like the one that was pictured in the 1994/1995 North American Land Rover Defender 90 brochures. 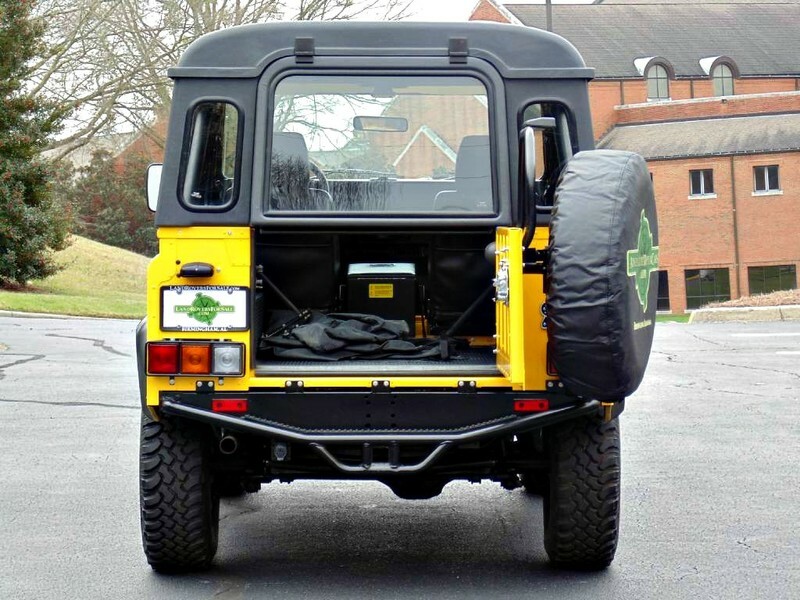 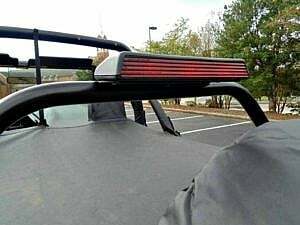 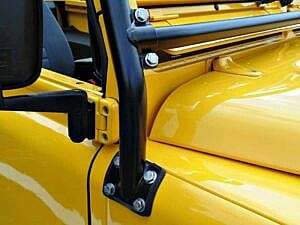 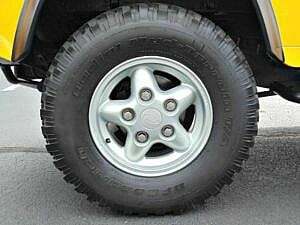 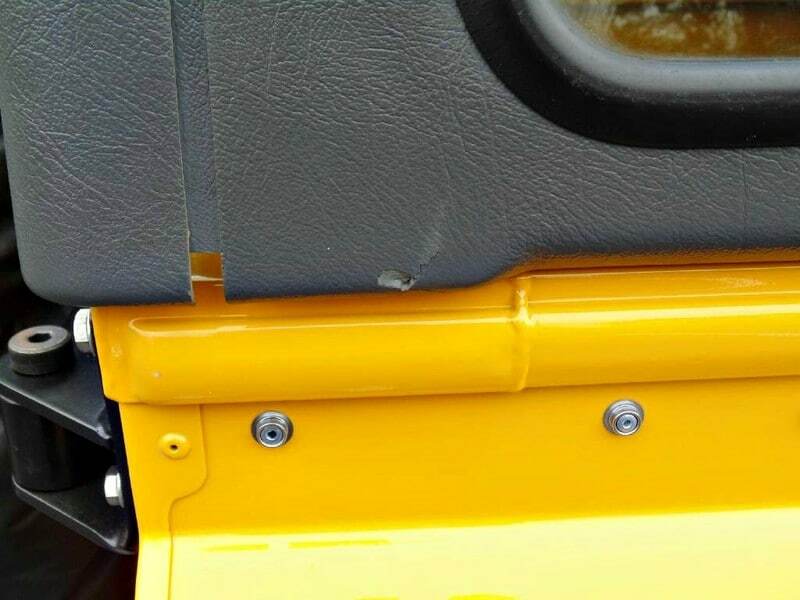 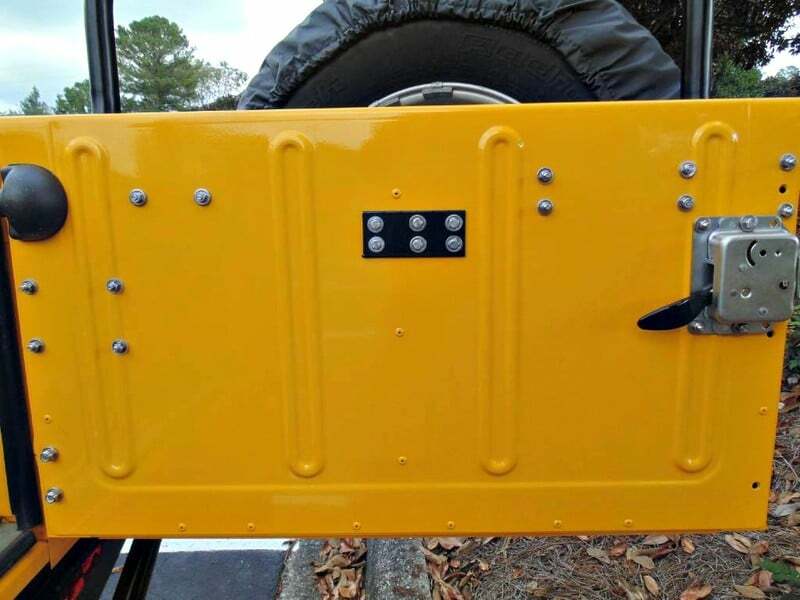 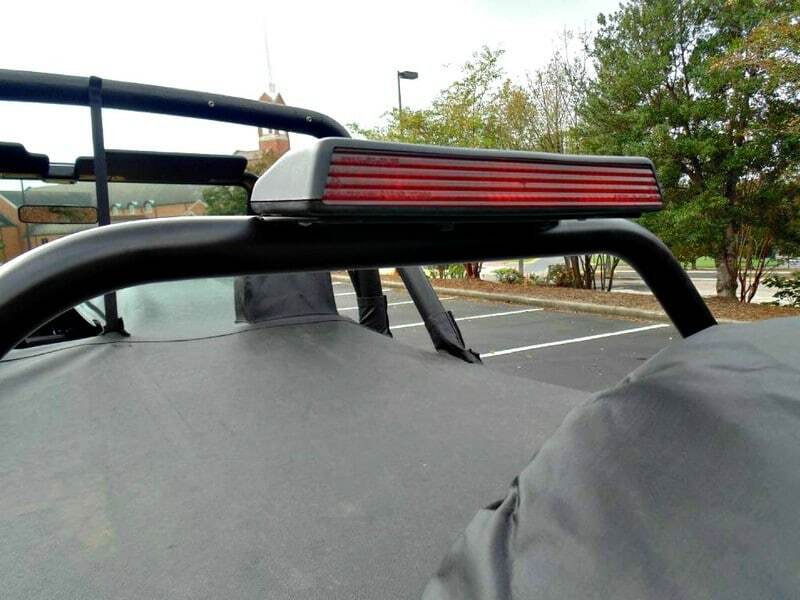 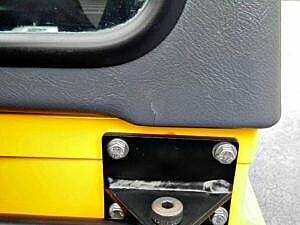 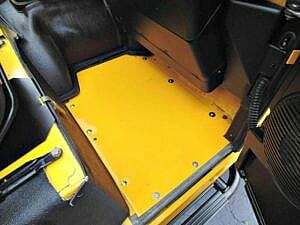 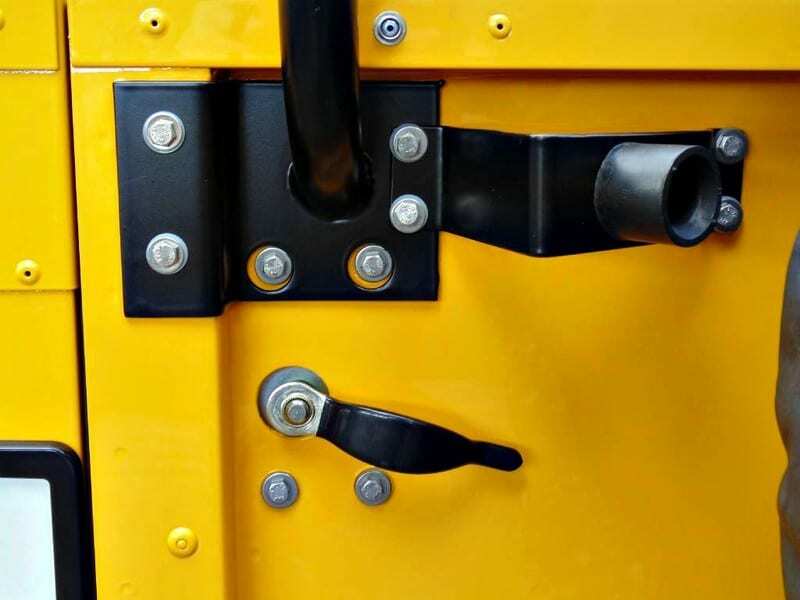 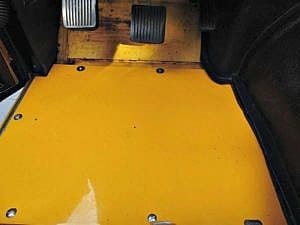 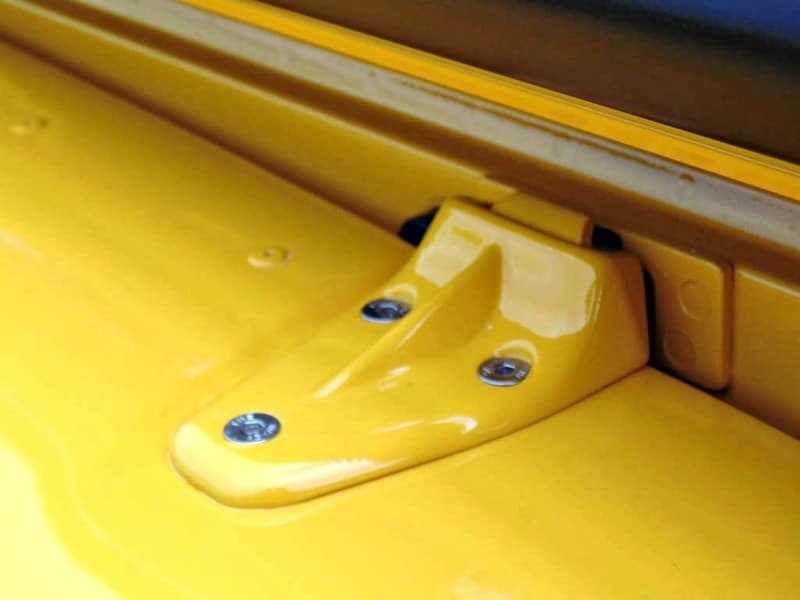 In fact, it has many of the same details as that cover model…a half roll-cage, absence of a rear bench seat, rivets on the upper part of the door to allow for a variety of top configurations and it wears B.F. Goodrich “Baja Champion” tires. 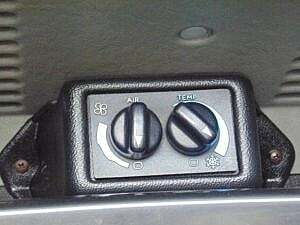 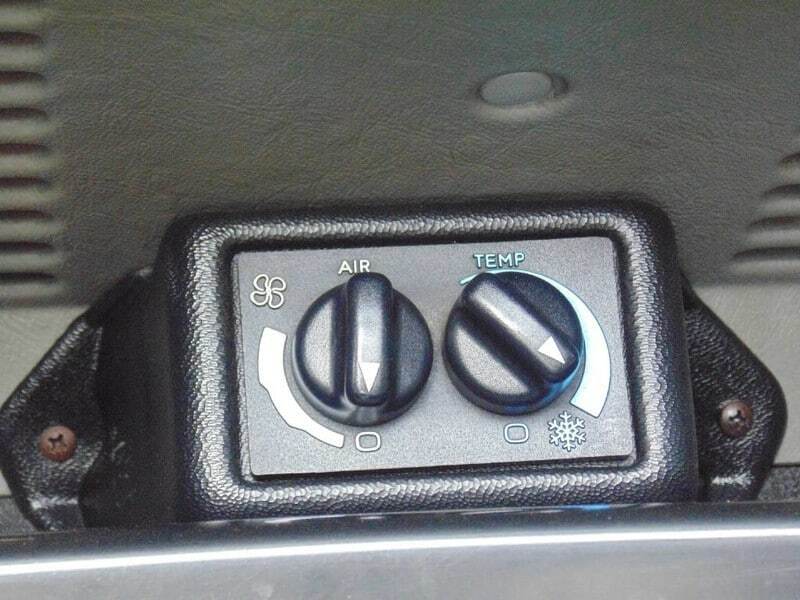 This one is also equipped with A/C for those hot top-off days and has had an R380 upgrade. 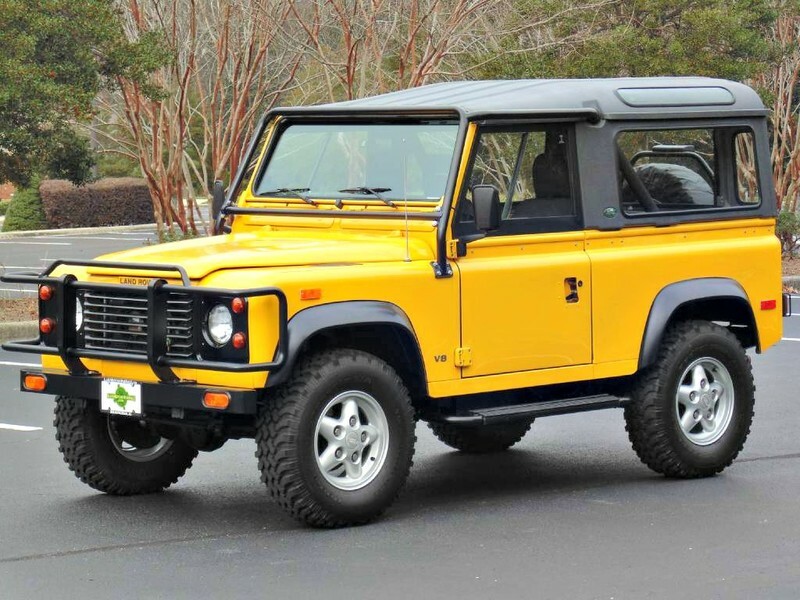 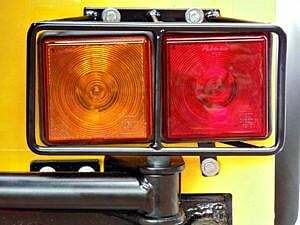 Having only covered 98k miles since new, four owners show on the CarFax, but two of those were a father and son pair and another was a dealer in Missouri. 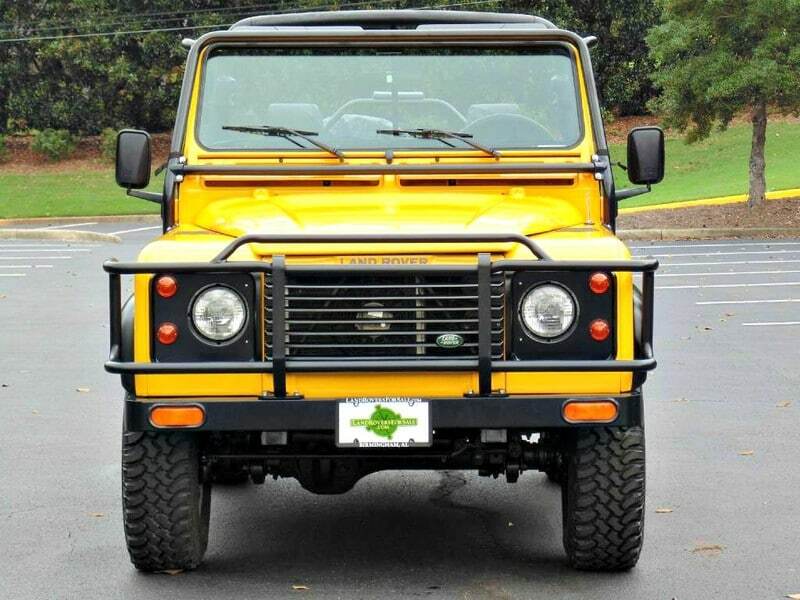 This D90 has a clean clear title and ships from Alabama. 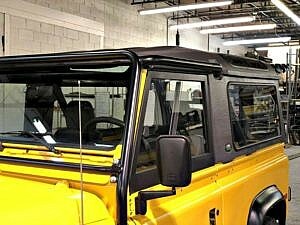 Shipping and financial assistance is available. 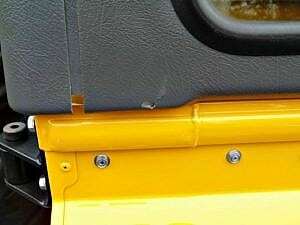 The exterior appears to be in excellent condition. 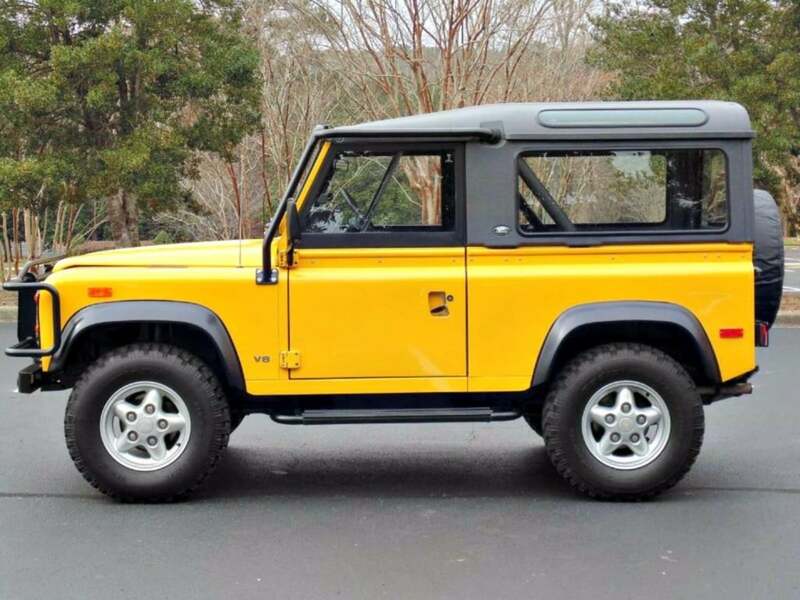 The seller reports that it recently underwent a refurbishing costing more than $20,000. The refurbishing included a full exterior paint job with a show quality base and clear coat, new windshield and gaskets, powder coated wheels, powder coated exterior metals, refinished exterior plastics, alloy hinges, stainless steel exterior hardware, new exterior lenses, new interior rubber matting, new front seat bottoms, (5) new old stock original 265/75/16 BF Goodrich tires, and more. 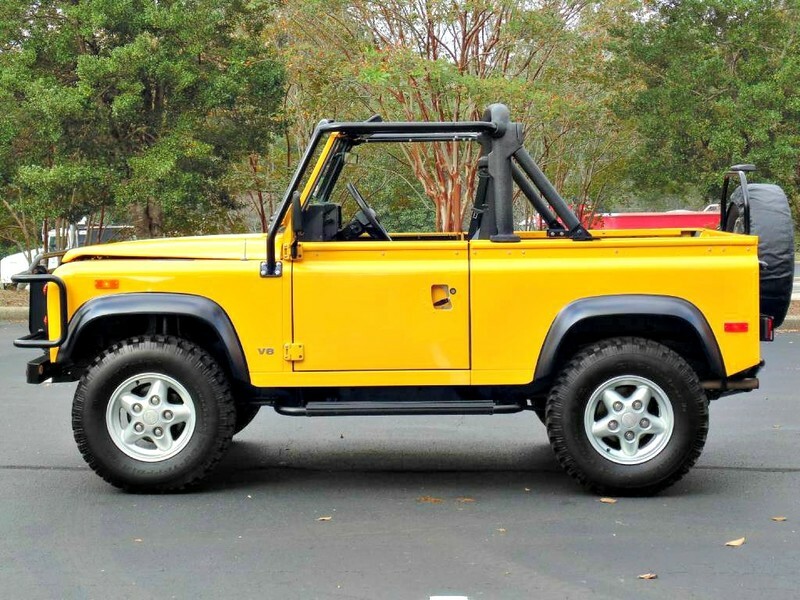 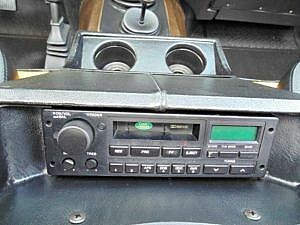 The seller reports it drives very well, and shifts through all the gears without issue. 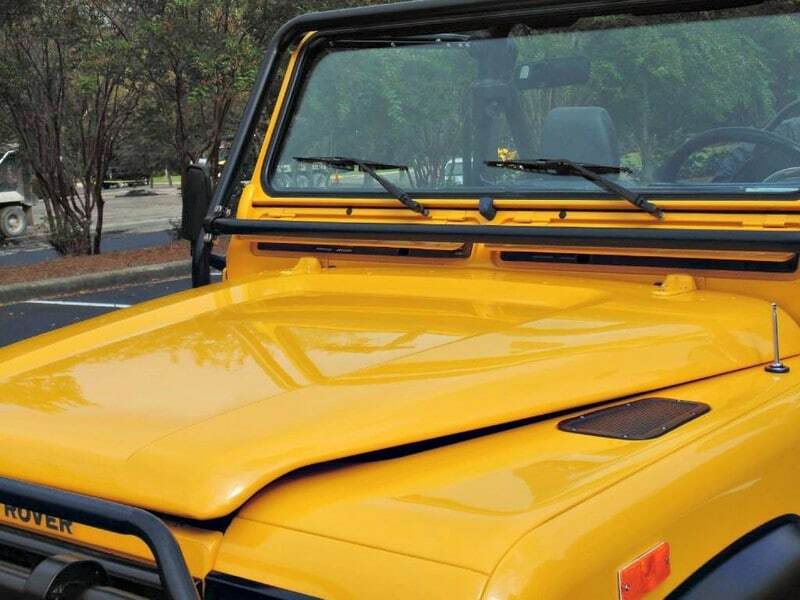 The tonneau cover is original and in good condition. 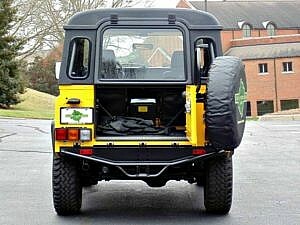 The only exterior apologies are a few minor imperfections typical of a twenty three year old vehicle that can be seen in the pictures. 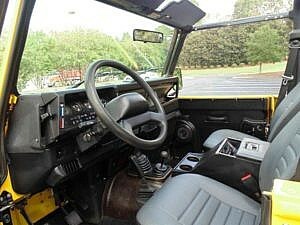 The interior is in great condition. 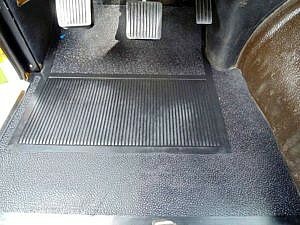 All seats look good and the rubber matting is new. 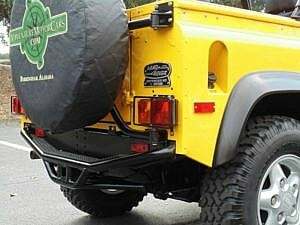 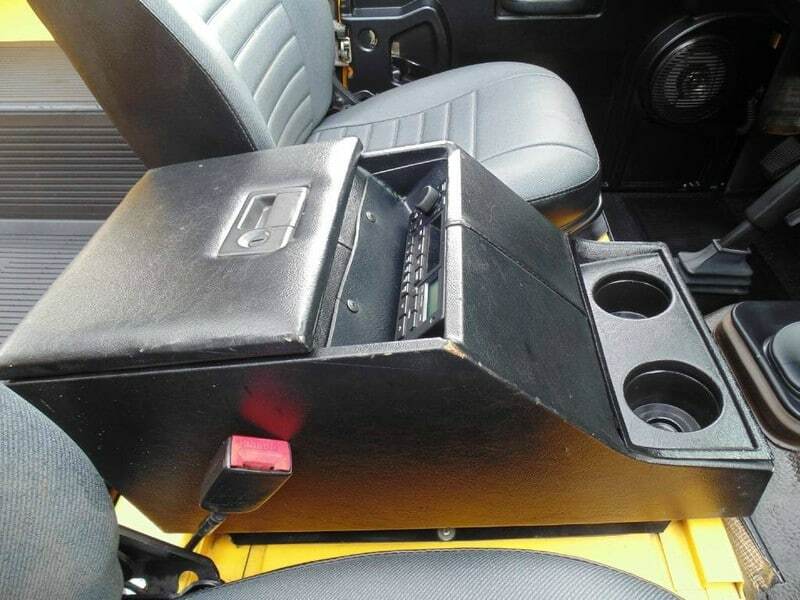 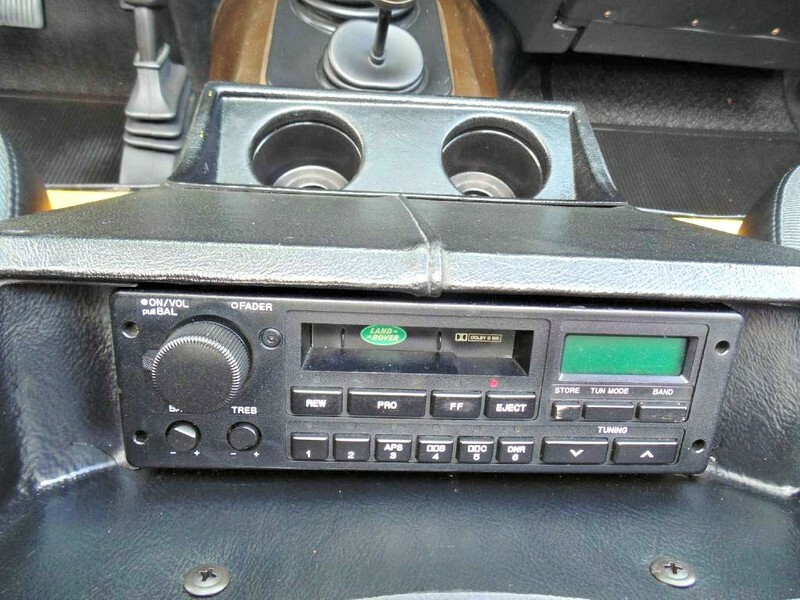 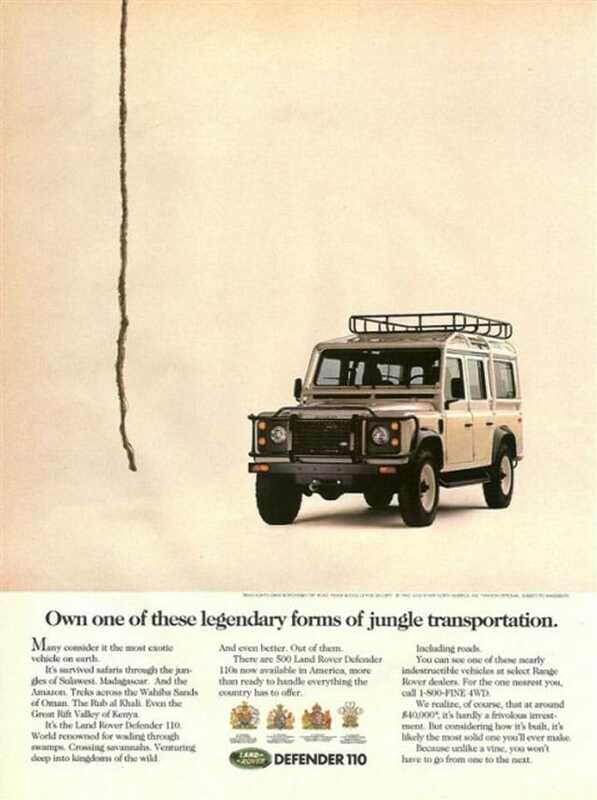 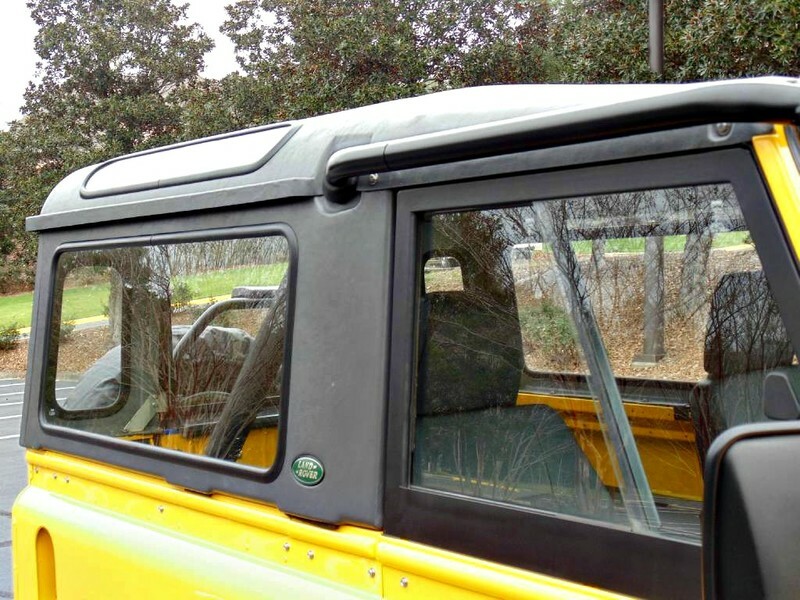 Included in the sale is a Land Rover full fiberglass hardtop, door tops (with hardware) and matching rear bench seat (with hardware and seat belts). 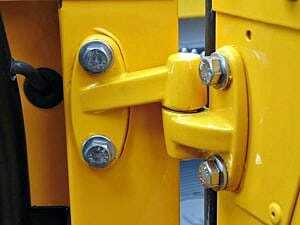 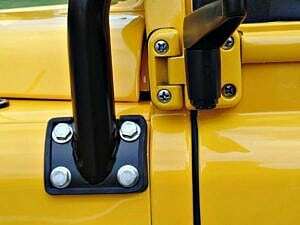 All parts can be installed prior to shipping if desired.